"A gritty, brutal, realistic evocation of battle... with aliens. Director Jabbar Raisani turns it up to 11 with the action. An exciting new contribution to both war and science fiction genres, from a director to watch. "-David Benioff & Dan Weiss, Executive Producers GAME OF THRONES. A filmmaking team is embedded in an army unit in the most hostile place on earth, an outpost surrounded by the last remaining alien fighters of an invading attack force. The world may have forgotten about the Outposts, but the aliens are planning the second invasion of Earth and the soldiers are the only ones who can stop it. 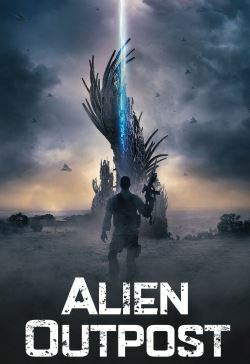 Equal parts sci-fi thriller, military tale and thinking man’s action film, ALIEN OUTPOST is a visionary knockout from start to finish.